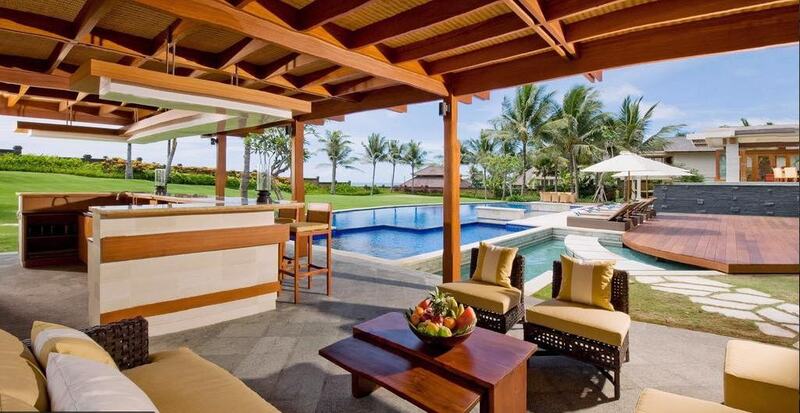 From $ 1,819AUD per night We have direct contracts with most villa owners. We don't add any booking fees. We are 100% transparent with no nasty surprises. 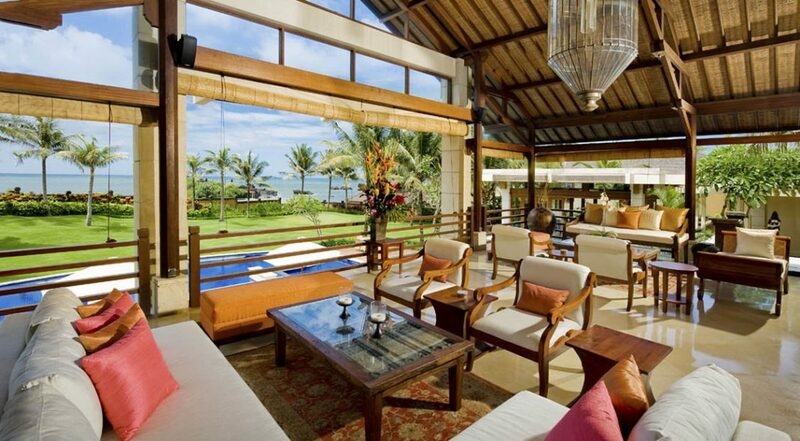 Luxurious beach front villa in Canggu - rent this now! 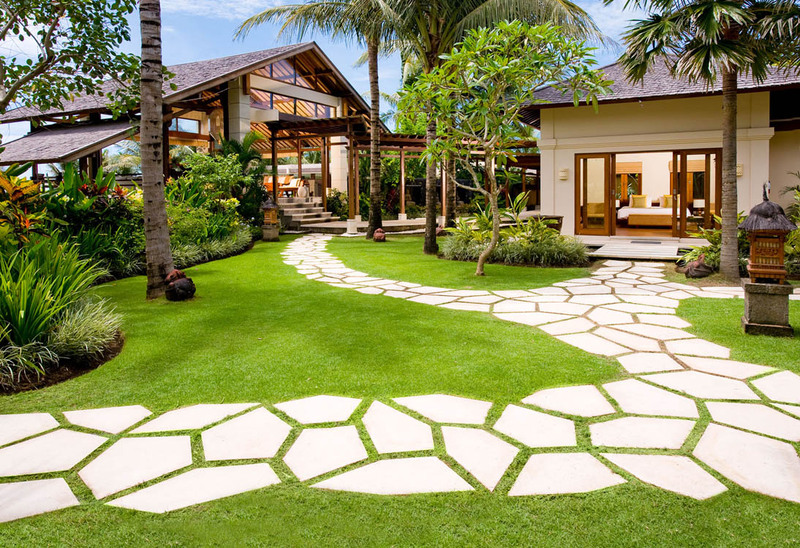 Villa Semarapura is a breathtaking, beach front 5 bedroom Canggu villa holiday rental which is spacious, luxurious and stunning. 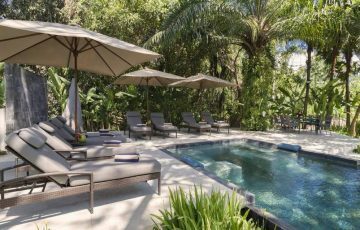 Built to accommodate large groups, the villa is perfect for families or groups wanting to have a 5 star holiday in the fabulous area of Canggu. 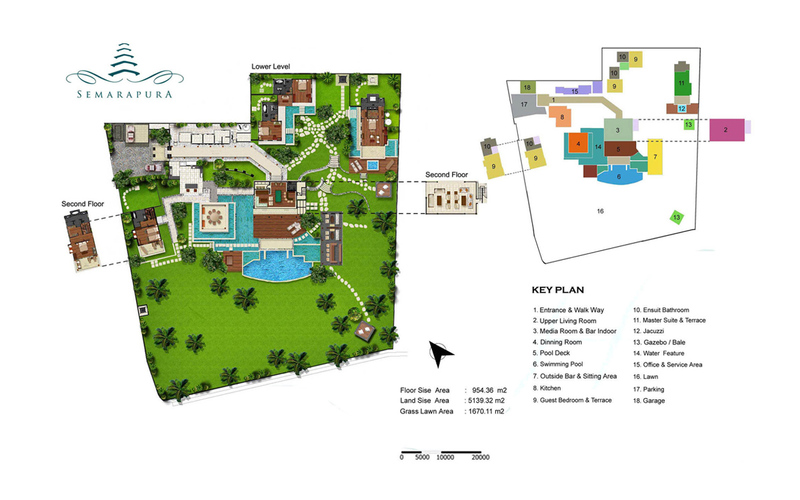 With its spacious lawns and scenic views, it is also perfect for weddings and events. 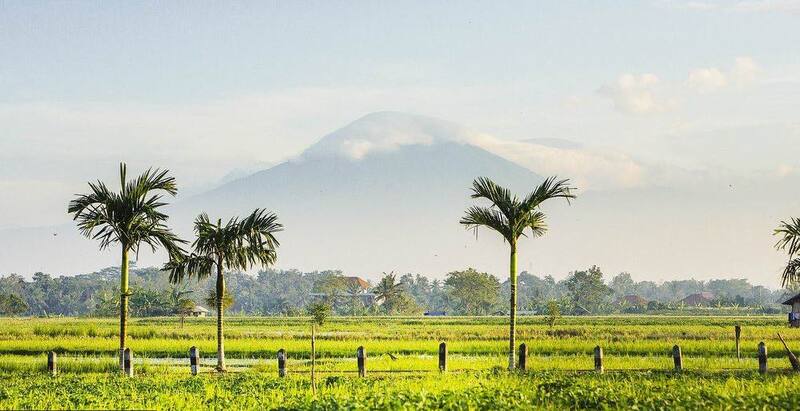 Located in Canggu, the villa depicts everything that area is famous for; fun, sun, surf, food, smiling faces of the locals, gorgeous rice field views and rustic Balinese rural settings where farmers go about their daily work. 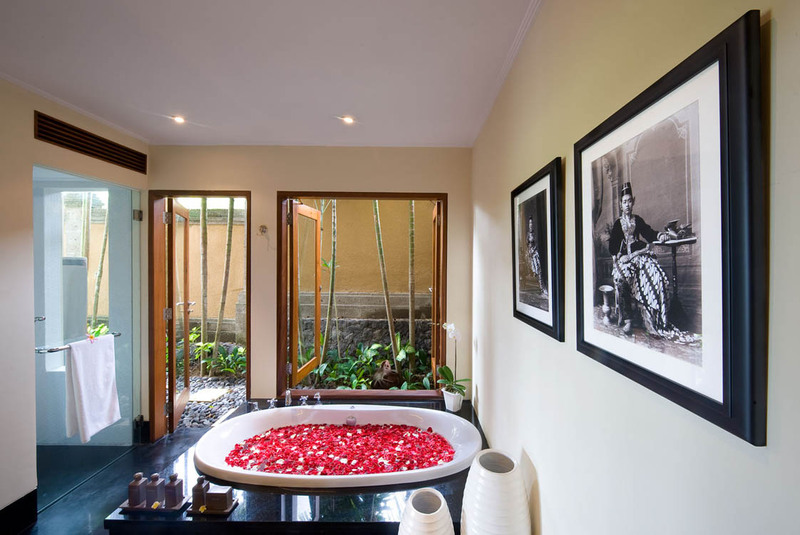 It really has a magical ambiance and is in one of the most private areas of Canggu. 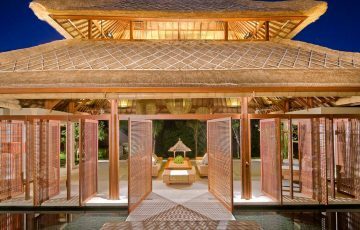 When guests step into the jaw dropping compound of Villa Semarapura, they are awestruck by its sheer magnificence and opulence. 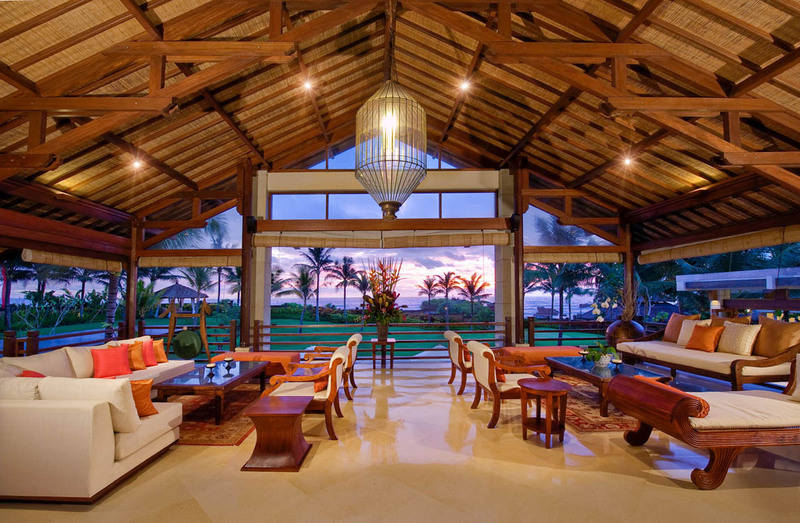 The architectural style is very modern, unique with attention to the finest details. 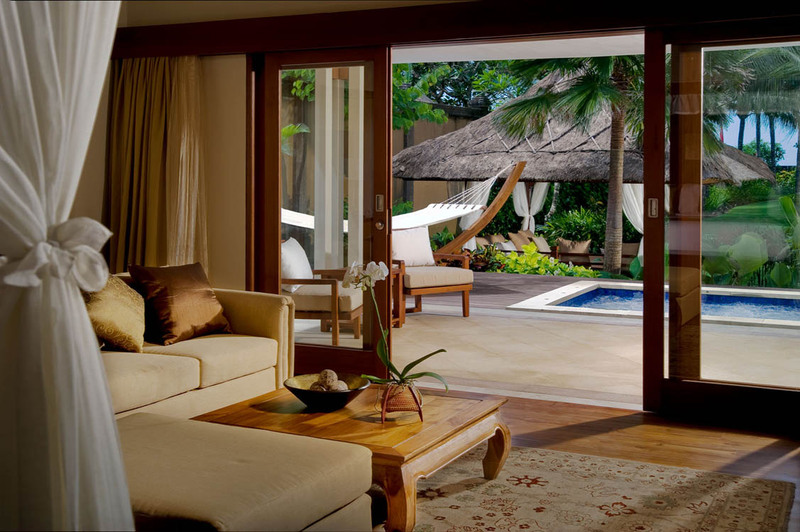 A two storey building overlooks a lovely pool and by the side of the pool are several pool chairs which are perfect for poolside relaxation. 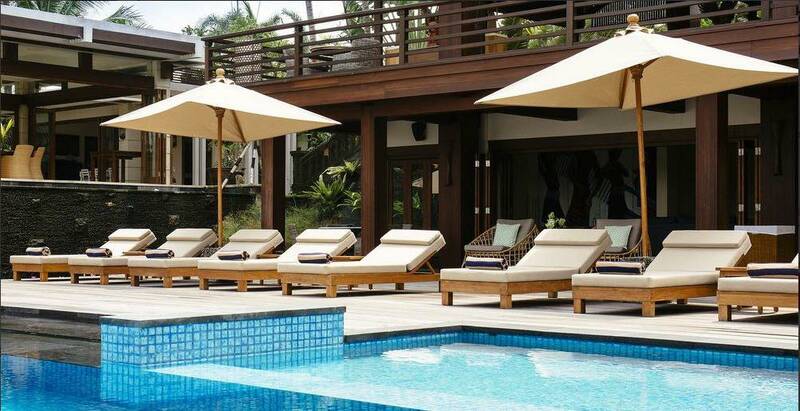 On one end of the pool is a small dining set which is perfect for guests to dine alfresco. 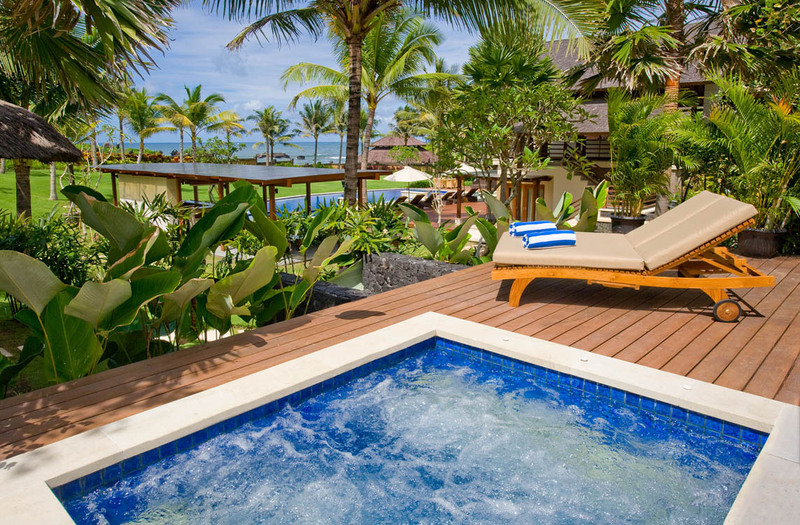 From the poolside, guests enjoy a lovely view of the sea. 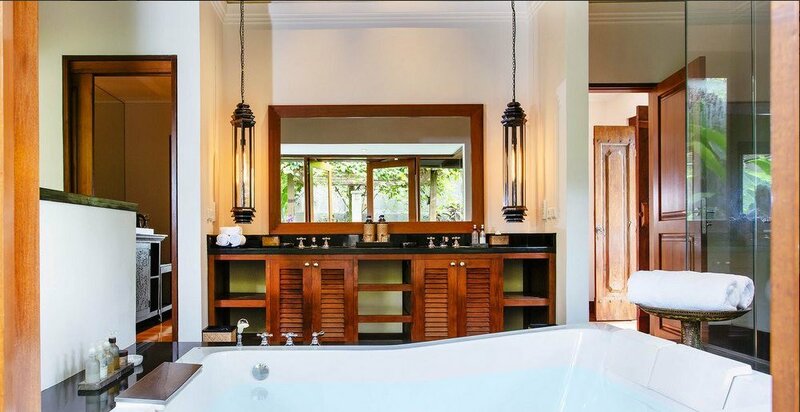 Perfect location for those wanting seaside tranquility away from the hordes of tourists. 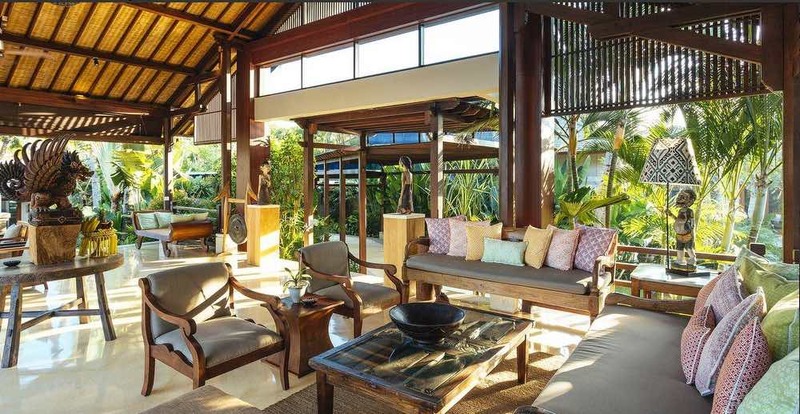 Villa Semarapura has a stunning living room on the upper floor of the storey building. 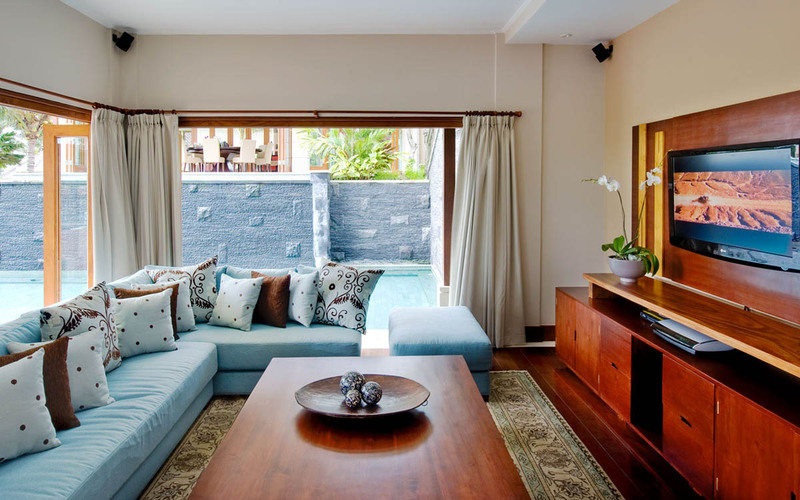 It is simply but elegantly furnished with comfortable sofas, wooden tables and stools. 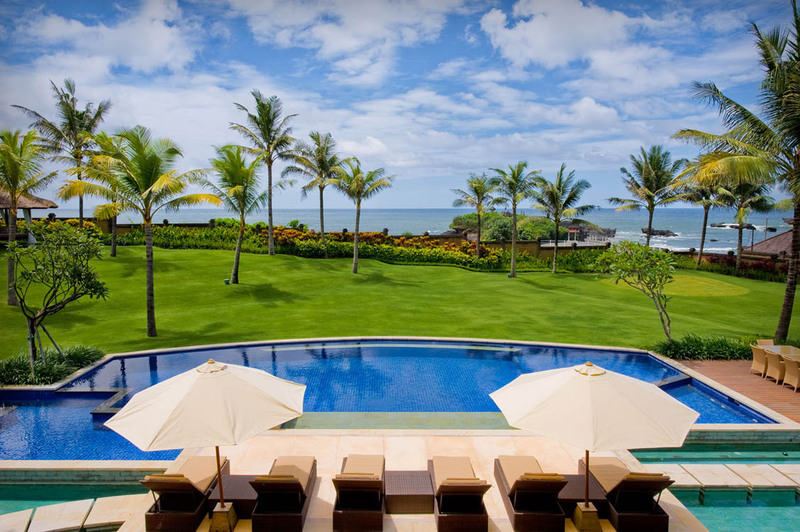 From this vantage point, guests have an unrestricted view of the entire pool and the ocean in the distance. 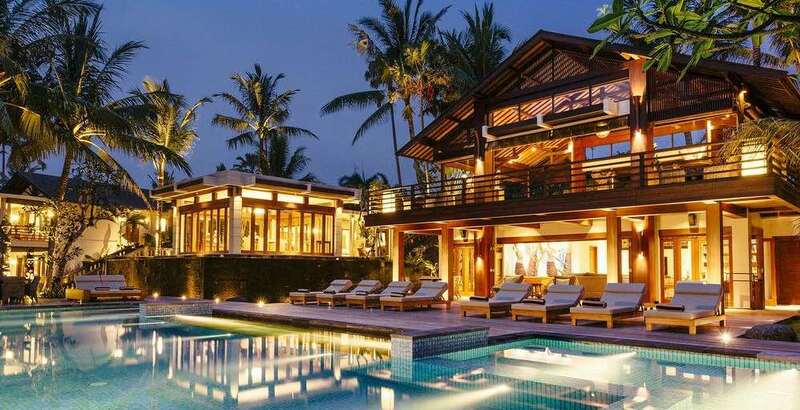 In another pavilion is a cozy dining area and right beside the pool is a poolside bar, and another sitting area which will be a perfect spot to enjoy drinks in the evenings. 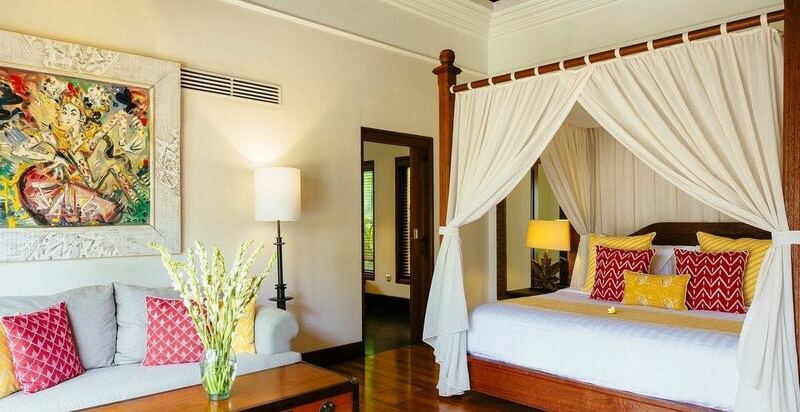 The five ensuite bedrooms of Villa Semarapura are ultra modern in their design. 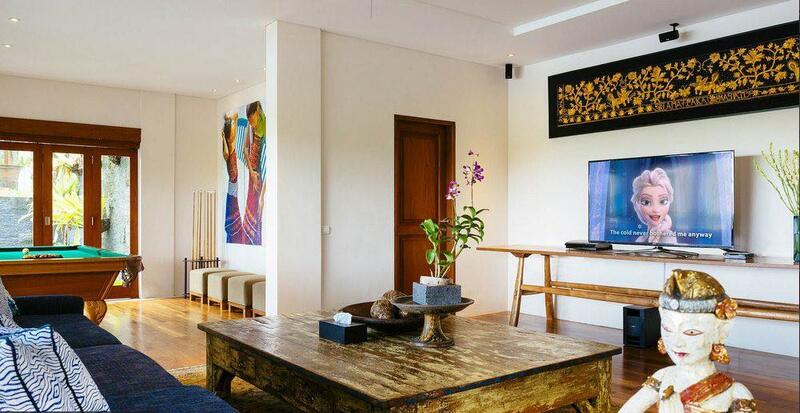 They are spacious, elegantly furnished and well appointed. 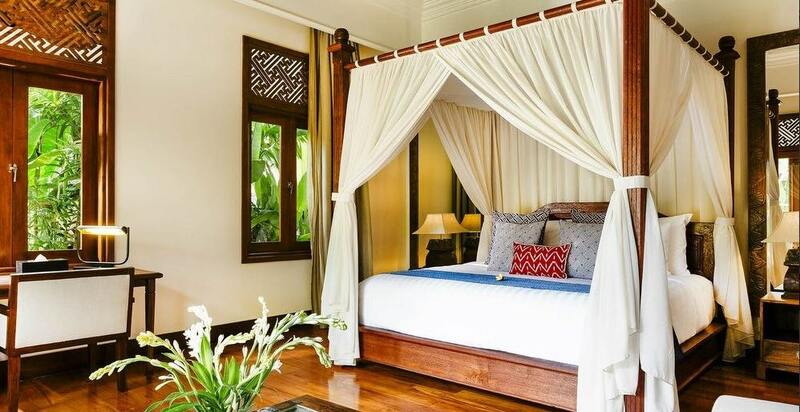 While the bedrooms on the top floor have access to a private balcony from where guests have a great view of the compound and ocean, the bedrooms on the ground floor have direct access to the lush gardens and pool. 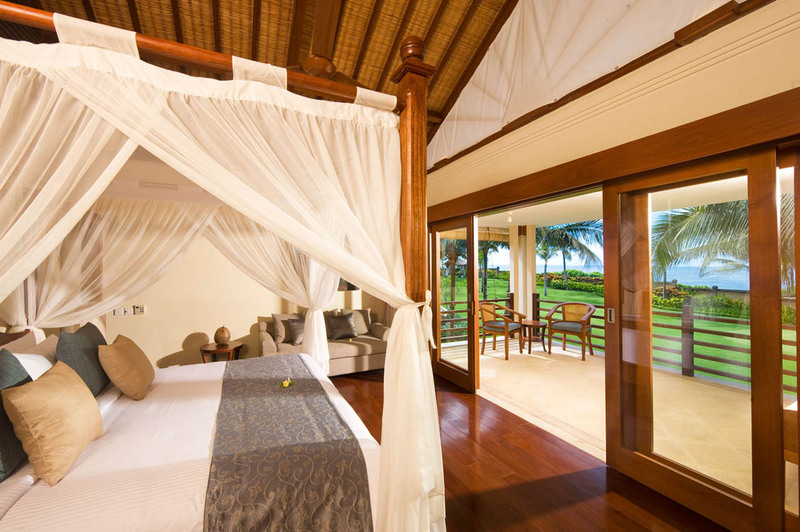 In total, the villa has four king beds and a convertible twin bed. 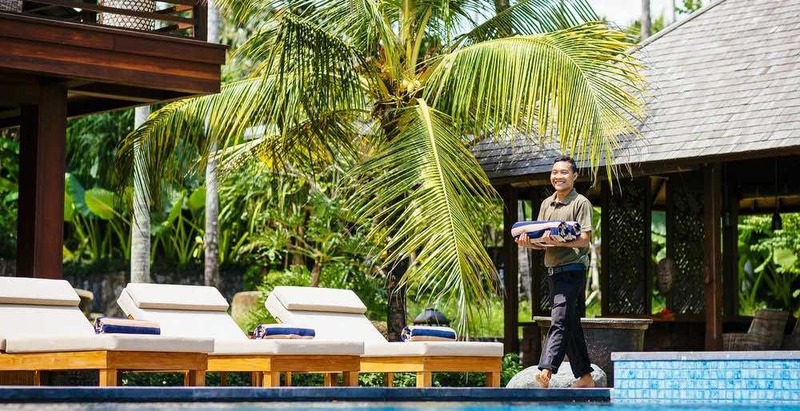 Guests of the villa get to enjoy free airport pickups and the dedicated services of a villa manager, chef, butler, daily housekeeping and security. 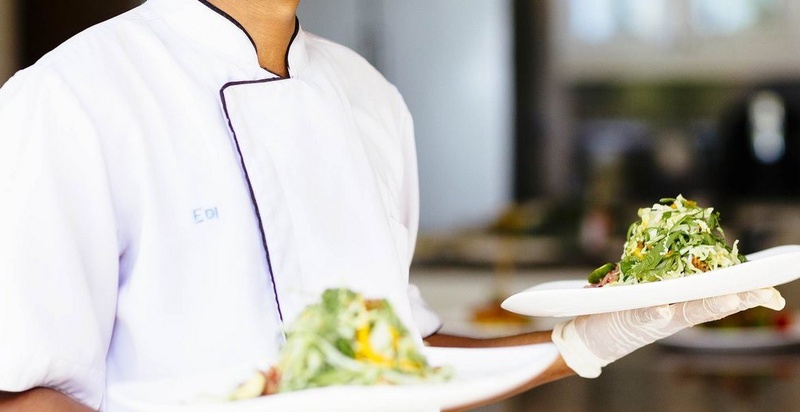 The staff will ensure that guests have all they need throughout their stay. 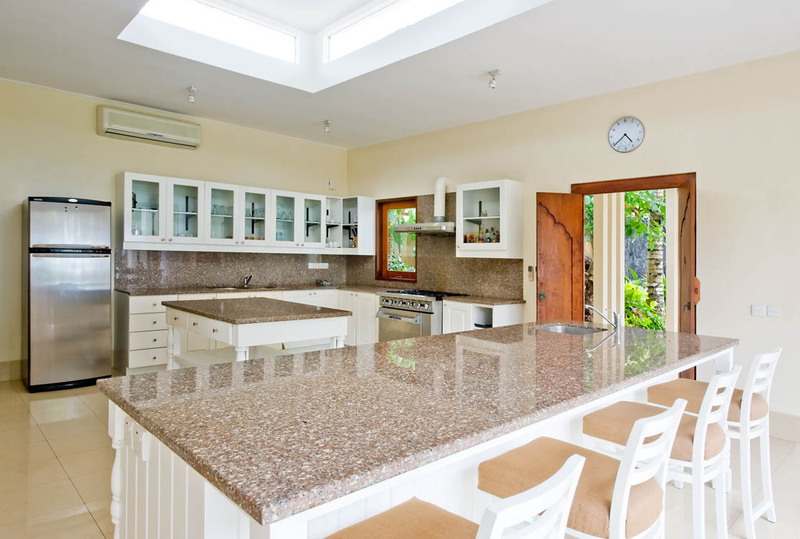 The staff are very professional and will be on hand every day to make sure anything you need is taken care of quickly. Just a walking distance from the villa is the pristine shores of the beach. 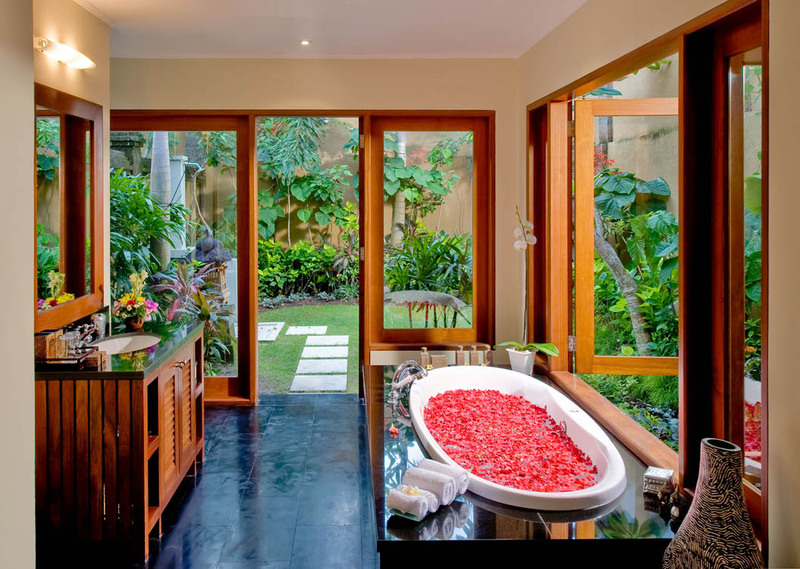 Guests can enjoy strolls in the evenings and watch amazing sunsets, so famous in Bali. 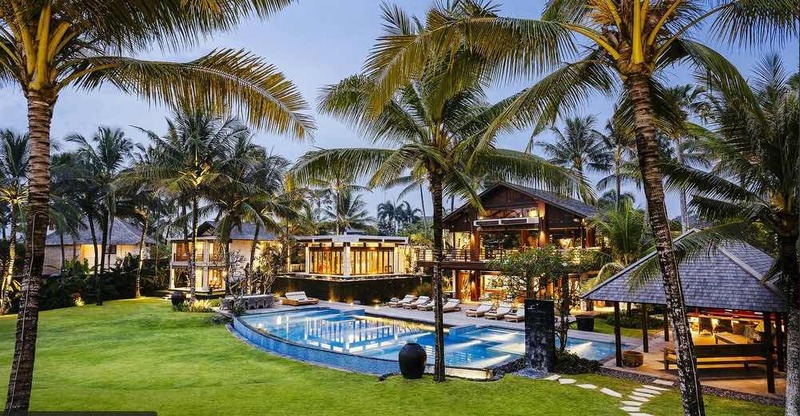 Also, there are several cafes, restaurants, shops, bars, convenience stores, supermarkets, ATM’s, pharmacies and boutiques which are quite close to the villa. 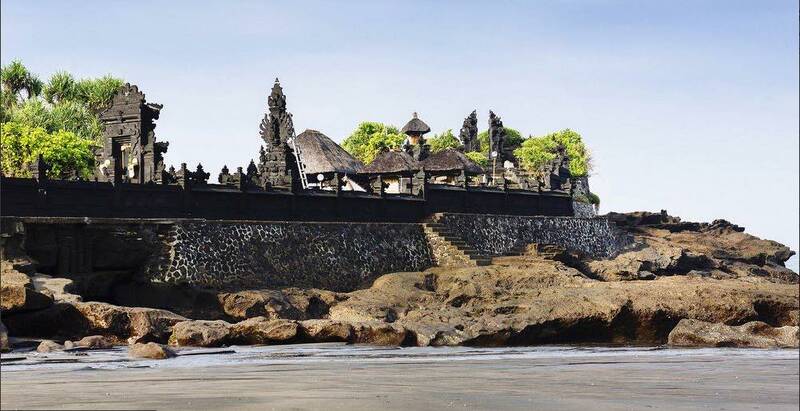 Make sure you head over to the famous and buzzing Jalan Batu Bolong area in Canggu to experience some great cafes &restaurants. Definitely try: Deus, Betelnut, Botega & Fishbone. For the vegans; head to Shady Shack & Crate. 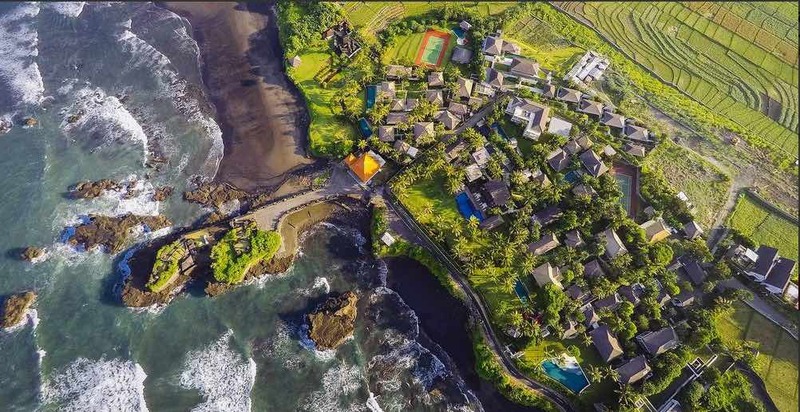 For those that like to watch the sunset with a cold Bintang head to Old Man’s and The Lawn just at the end of Batu Bolong. 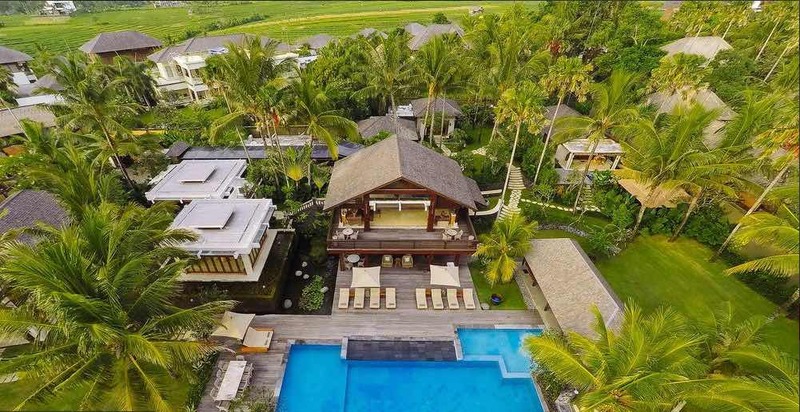 This is the perfect Canggu villa for those wanting to experience holiday villa living on a grand scale with a level of luxury like no other. 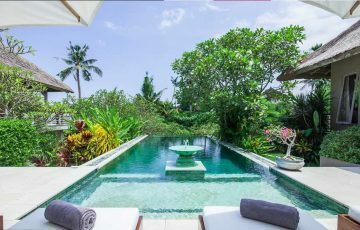 To view our full range of luxury Canggu villa accommodation & 5 bedroom Bali villas or other beachfront Canggu villas please browse this website or contact our reservation team. 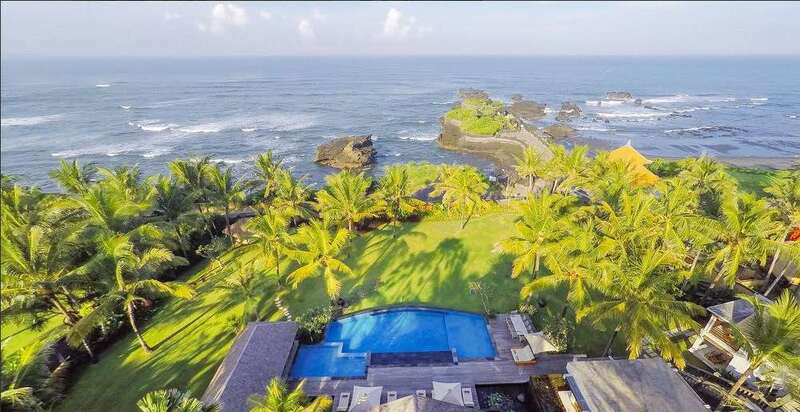 This is a popular Canggu villa rental so if your planning a trip to Bali, especially during the Australian school or public holidays please book Villa Semarapura well in advance. 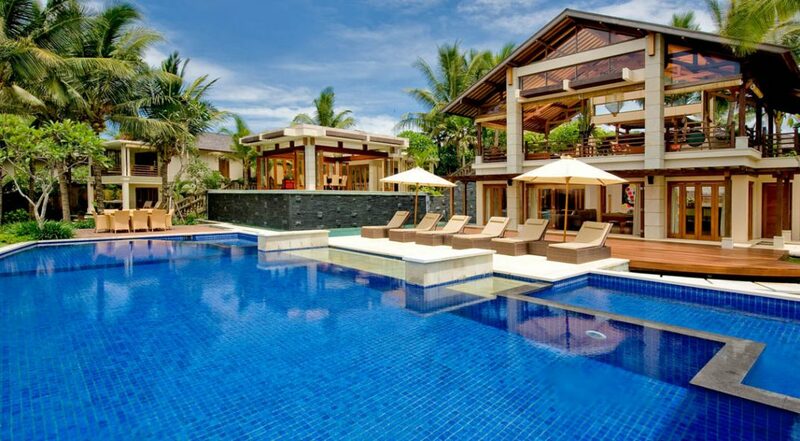 Spent what could only be described as a week of holiday bliss with another family here at Villa Semarapura. 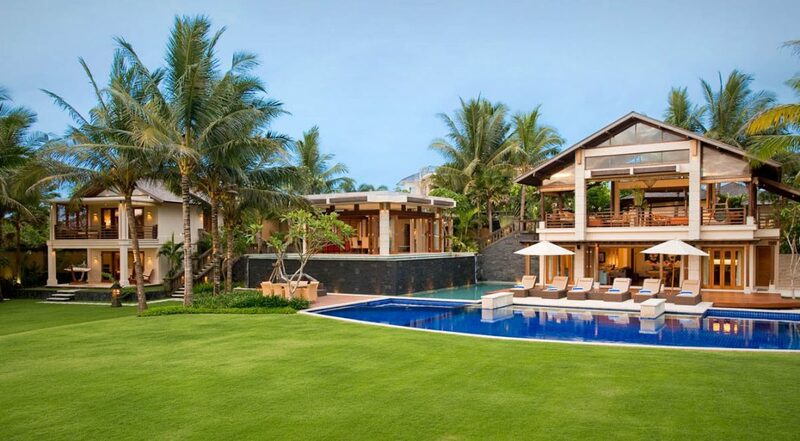 The thing you notice immediately is the scale of the villa and it's size. The wow factor was definitely there. 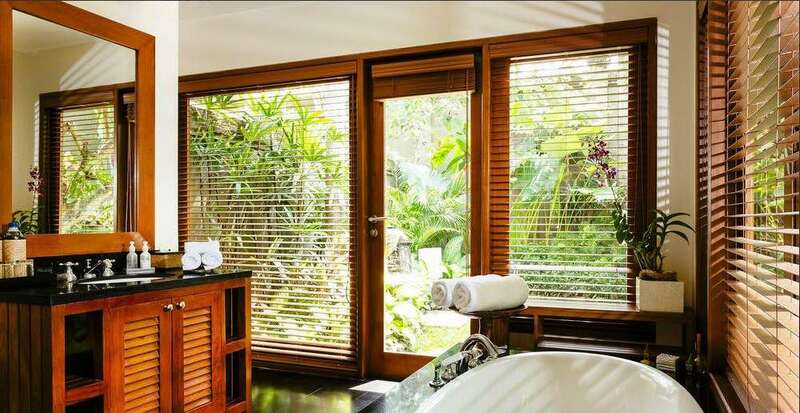 Rooms, bathrooms as you would expect were perfect and the service was matched only by their professionalism and great attitude. 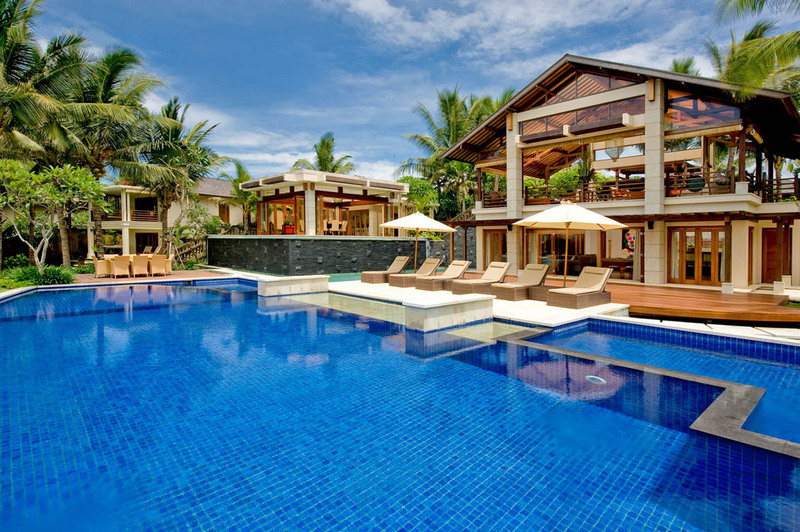 This was a perfect holiday villa and one that our families will remember for a long time. 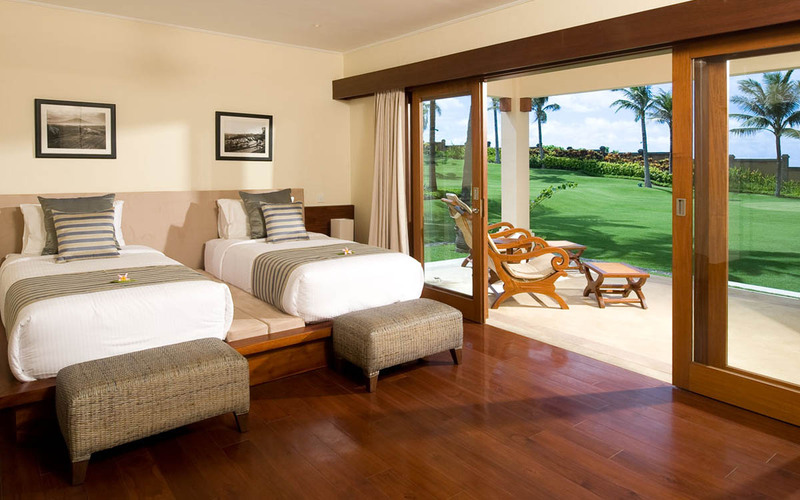 Singaporeans are known for their high standards and we have come to expect the best for our accommodation. 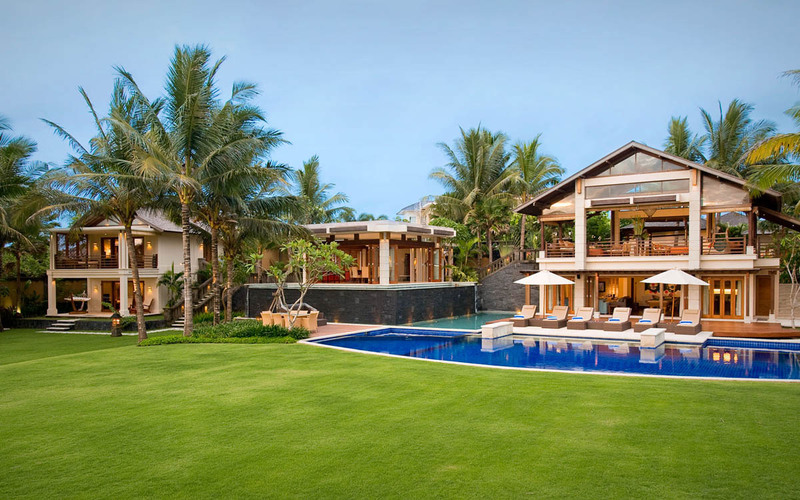 This villa was as expected 5 star all the way with the best facilities and staff we have so far come across in our travels. The location was also perfect for our group of 8. Tranquil and very calming which is exactly what we wanted. 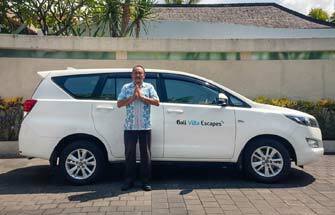 We are very frequent travellers to Bali from Singapore and I am very confident that we will be coming back here again. I can easily give it a 10 out of 10 and highly recommend it. 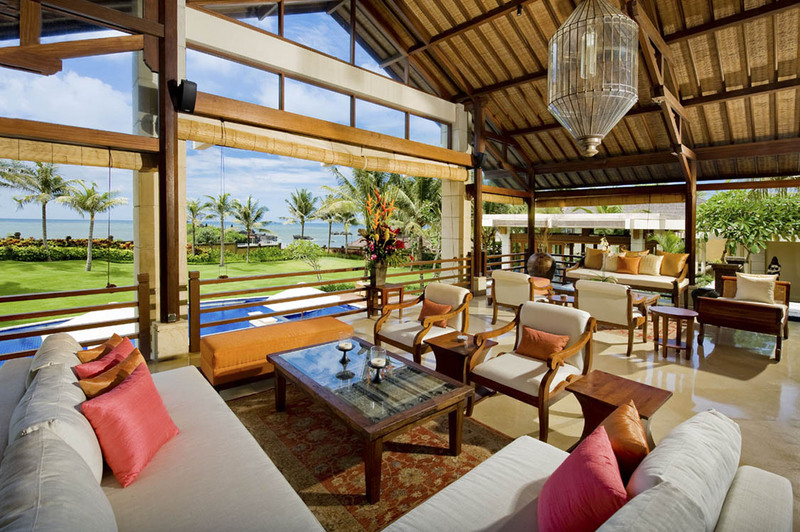 It's really hard to describe Villa Semarapura. Words such as luxurious, world class and fabulous come to mind. 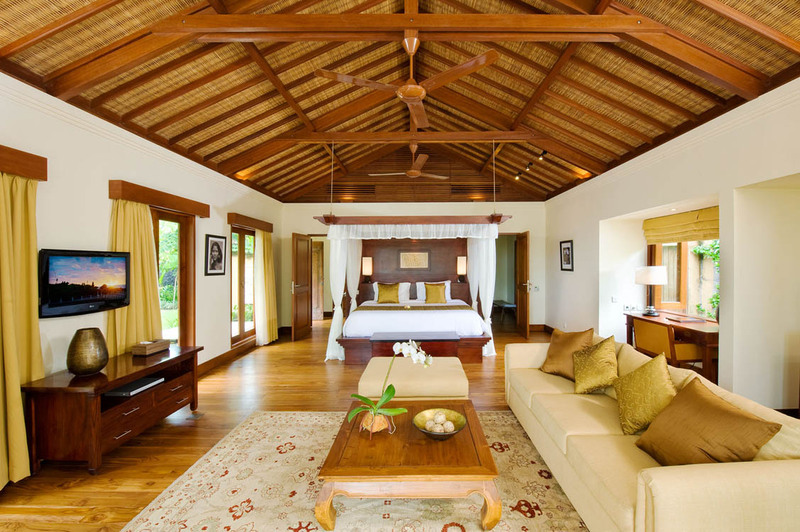 Rooms were to die for and the interiors were lavishly appointed and really spacious. 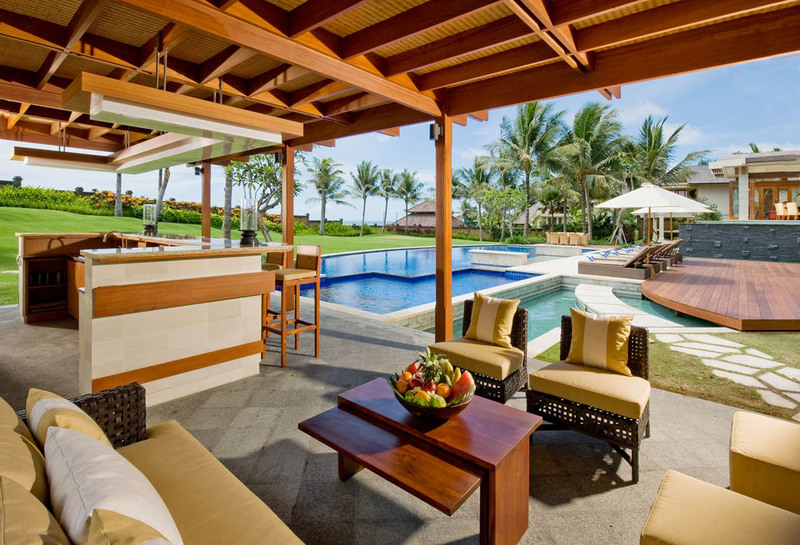 I cannot actually believe that I was fortunate enough to stay here for 10 days. 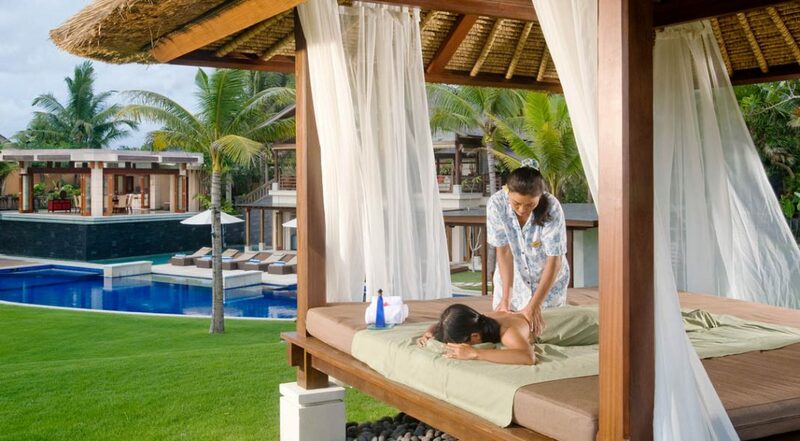 The time seemed to pass in a dream like state of bliss where anything I wanted was given by the staff. 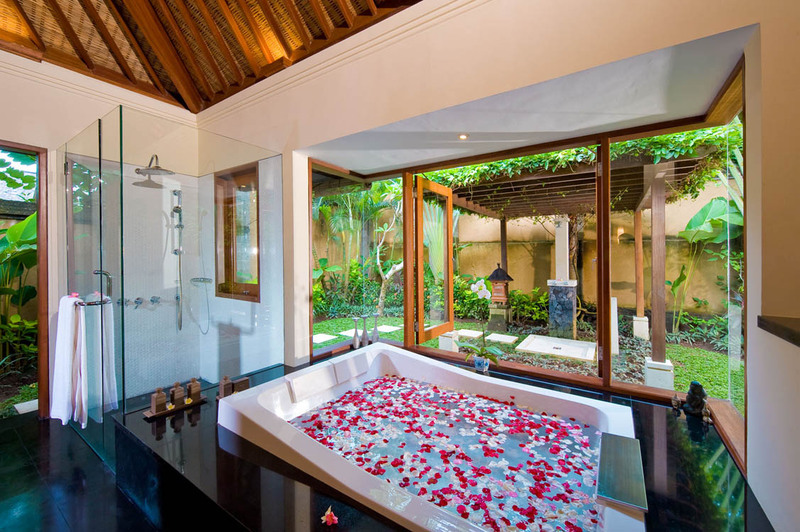 I feel so relaxed and rejuvenated and can only hope that I get the opportunity to stay here again. 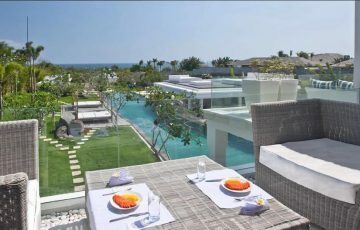 I am going to really miss those cocktails served to me by the pool and those really healthy breakfasts. 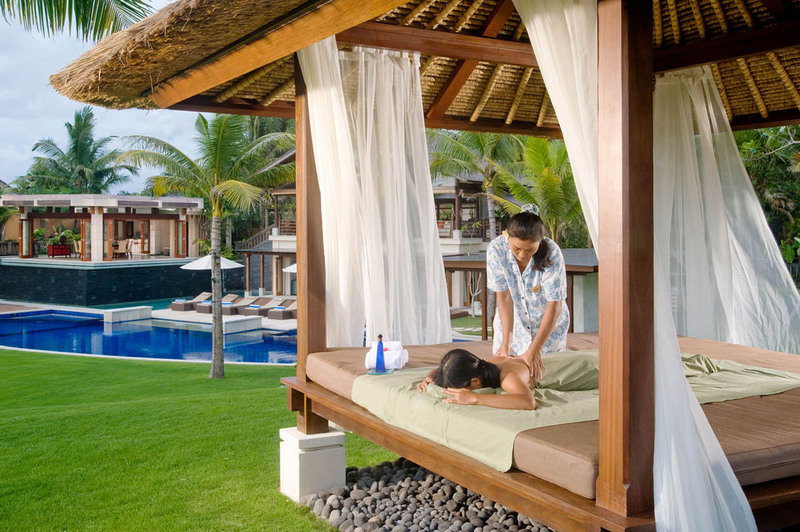 I just want to reach out to Dewi and her fab team at Bali Villa Escapes for making all this happen so quickly and answering all my emails so quickly. 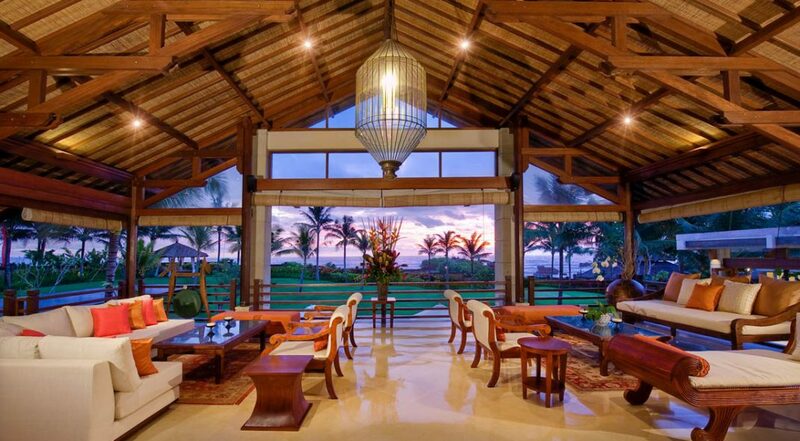 A stunning villa in the most incredible location right near the ocean. 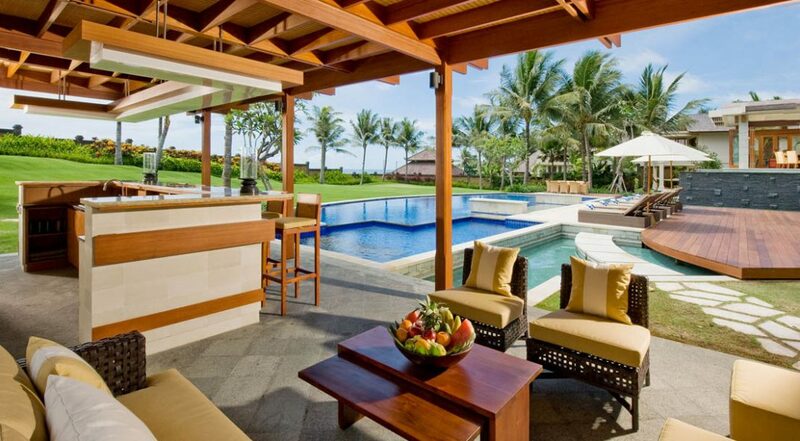 Couldn't have asked for a better place to spend a family holiday. To all the staff at Semarapura thanks for one of the best family holidays ever. We can't wait to come back.